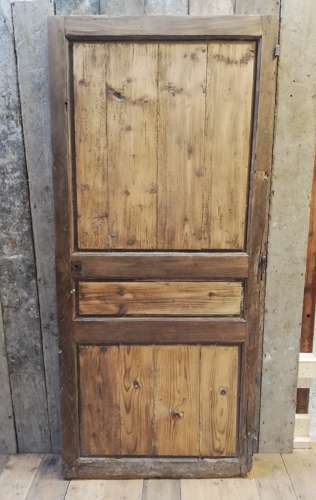 Dating back to c.1800 this is a French door made in solid oak. The front face has a 3 panel design and the back has a very rustic finish. The door was obviously used as a cupboard door and the condition is good considering the door’s age. It will need careful cleaning, finishing and restoration to bring it back to its former glory.